Dana Densmore, co-director and chief editor of Green Lion Press, is an independent scholar with extensive experience in teaching, publishing, and computer technology. After earning her BA at St. John's College in Annapolis in 1965, she worked as a systems programmer at MIT for the Apollo Project and the Space Shuttle. One of her responsibilities here was coordination of all the on-board guidance, navigation, and control programs for the Lunar Lander. Subsequently she helped design a state-of-the-art on-board guidance computer system for advanced space missions, specializing in design of the real-time multiprocessing operating system. She also helped develop and market a proprietary methodology for software engineering design for large real-time guidance and control applications. She left MIT in 1977 to work in industry, eventually becoming senior product planner for Nixdorf Computer Corporation. During her time in Boston, she was active with the MIT Outing Club, for which she taught rock climbing, winter mountaineering, and winter safety, and organized and conducted mountaineering leadership training for the Club. She has actively trained in martial arts since 1968 and has run her own schools in several cities since 1974. She organized the first continental conference for teachers of women's martial arts and self defense in 1975 and founded, edited, and published a magazine for that field. She was a leading theorist for the emerging feminist movement and published the first journal of feminist theory beginning in August 1968 and running through 1974. She organized and facilitated reading groups and study groups, co-taught a humanities course at the New England Conservatory of Music, and helped organize and lead a series of seminars for St. John's College alumni. She is a long-time board member of The Women's Institute for Freedom of the Press, and for two years was Senior Editor and Research Director for that organization in Washington, DC. She also developed a system of self empowerment, built up a private practice of coaching and counseling for those skills, and published a journal of self-empowerment theory for students and clients. In 1982 she retired from her computer career and moved to New Mexico, where she continued work on teaching, research, and writing projects she had begun in Boston. 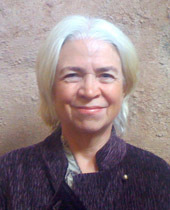 She was appointed Tutor at St. John's College, Santa Fe, in 1987, where she led tutorials and discussions in the acclaimed St. John's College great books curriculum. Among subjects she taught were ancient, medieval, and modern literature and philosophy; ancient Greek mathematics and astronomy; Galileian and Newtonian physics; non-Euclidean geometry; electrodynamics; and special relativity. In 1993 she received her MA from St. John's for a thesis on the cause of gravity in Newton's Principia. While leading students through the Principia, she developed a series of notes and expansions which became the nucleus of her book, Newton's Principia: The Central Argument. In 1994, she left St. John's to finish the book and to found the Green Lion Press. Dana has been active on the Training Committee of the St. John's College Search and Rescue Team, and has lead nationally advertised wilderness trips for Earth Treks and the Sierra Club.